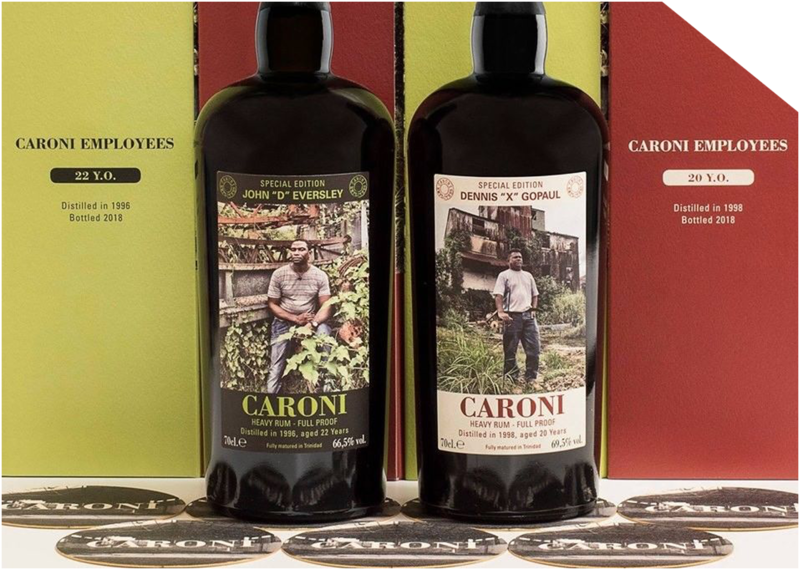 I recently had the honor to talk to the Velier’s boss, Luca Gargano, about the first two bottlings of the new Caroni series, “Employees”. A good hour of exciting discussion later, here I am with a whole lot of notes and anecdotes. Here is the summary of everything. Hello Luca and thank you for calling me from Genova tonight. First of all, congratulations for your 2018 Golden Rum Barrel Awards for “The International Rum Advocate of the Year 2018”! Thank you Roger, yes I won this award and I like to think I have done a lot of things for rum in general. I think the perception of rum is changing thanks to my work, it’s a pleasure. Luca, one of Velier’s big news in September is the release of the “Employees Caroni” series. It’s really innovative and noble of you to put the names and faces of the guys who were the essence of Caroni. How did you think about that? You know, since my first trip to Trinidad, December 9, 2004 when I came face to face with this stock, I still think about it today after 13 years and I tell myself that this story is crazy! Is it true ?? It’s so crazy that it’s always hard to believe … even for me! I remember this amazing day seconds by seconds … it’s really something surreal! And in the end I thought that only very little informations about Caroni are available. Nobody really knows the distillery. 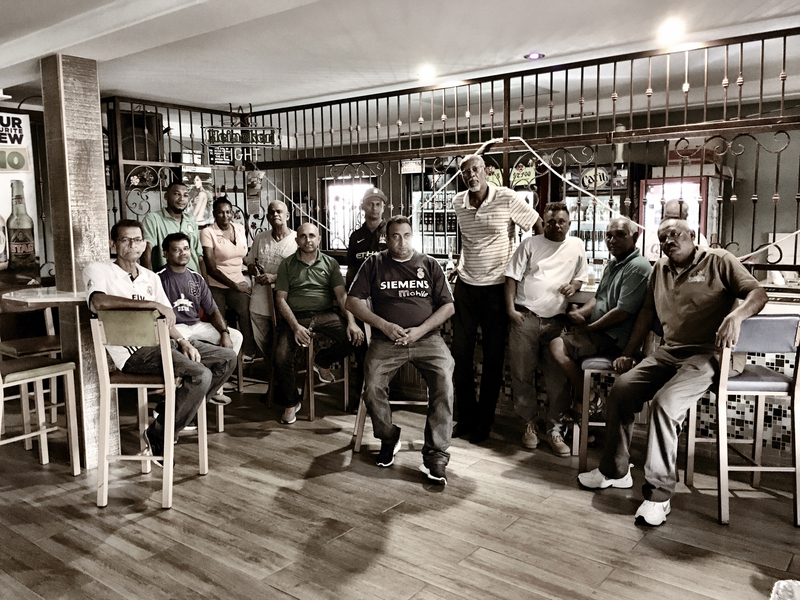 I had to find Caroni employees to talk with them, take pictures, reconstruct the history of the distillery etc … and the idea of ​​this series came to me as well. I know Rudy Moore, the liquidator of the distillery who sold me the barrels at the time, since 2004 and I have kept in touch with him since all this time. For that I asked him to help me and he found 16 former workers of the distillery. We explained them the concept of the new series with the photos on the bottles and they all accepted directly. I then sent Fredi Marcarini, my photographer, to take the photos on site during 3 days. 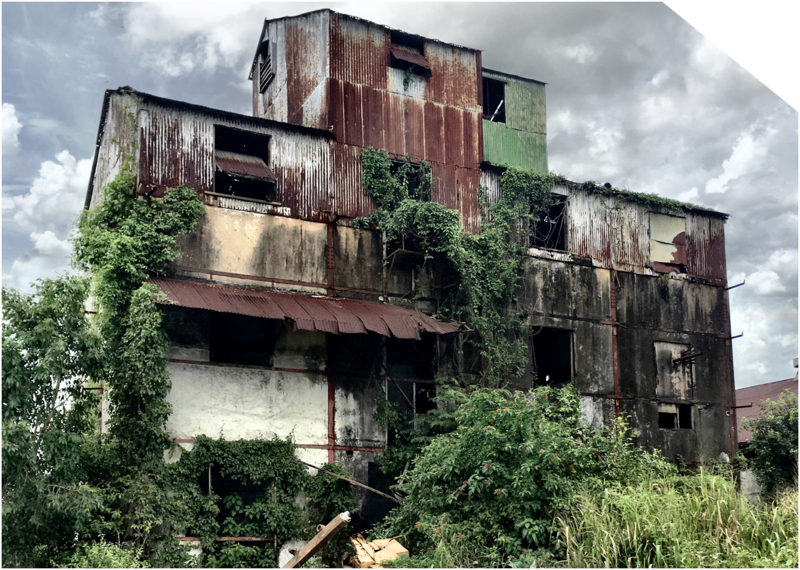 The photos were taken directly on the former site of the distillery … now it is actually used for the maintenance of the fleet of administration of Trinidad. But there are ruins of the distillery and cellars. What was their feeling about this project? Did they understand how Caroni was popular in Europe? What do they think of that? In fact, in July of last year appeared in the newspapers several articles on Caroni. Someone had found a Caroni for more than 1500 € in Italy and so the newspapers seized the case by saying that an Italian trader had bought all the stock for nothing and that he sold the bottles at this price. Rudy Moore was very uncomfortable with that. He made this sale quite well. When I think that my first caroni, I sold 28 € the bottle at the beginning in 2005! But in the end they do not know much about the current “caroni mania” so they did not tell Fredi about it. They were very enthusiastic, they all accepted the proposal and I think they were happy to see each other again at their former workplace. You know, the closing was something terrible on the spot, we must not forget that. Have you received a lot of new information from them? How did they work, what were the daily jobs at the distillery, …? I had prepared questionnaires for them in fact, which I gave to Fredi because I did not go to Trinidad with him this time. I was in constant contact with him but of Europe. I even received from two employees quite precise drawings of the Caroni heavy rum distillation column. 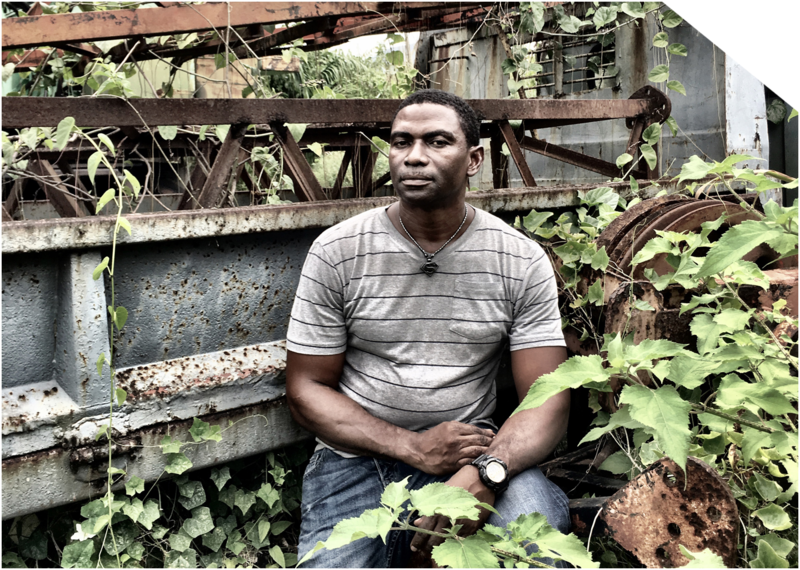 A small column of + – 3 m that had been recovered from Esperanza Estate, a small sugar refinery that was absorbed by Caroni in 1954. Will they receive the bottle with their effigy? Did you bring samples of your bottlings to discover what Caroni became? If so, what did they think? Yes of course, they will each receive the bottle with their label and moreover they have been paid for the photo shoot. It is quite logical. I did not give any sample to Fredi to make them taste so I can not tell you. You know, Caroni was just rums that went for bulk … there was no official bottling for the local market and only 2-3 bottlings for the export. All the rest was used only for blends so in the end the caroni as I bottle was not really known. You know, rums of more than 20 years tropical, there must not be more than 300 barrels in the world, it is incredible. Appleton must have some, demerara distillers too but I think that’s almost everything. When we think back to all that the angels took me, it’s crazy … Before I did not want to think for fear of a heart attack, but recently I calculated and it’s huge. I bought more or less 1600 casks and I lost 700 casks on the part of the angels … It’s millions of euros that went off like nothing. But it does not matter because that’s how it must be I think. I still have 142 drums in total that I decided to repatriate to Europe to stop aging. So, will aging continue in Europe? No no no, the Caroni must be distilled there and aged in the tropics otherwise it is no longer Caroni. So the barrels will come back to Europe but I will blend more than 70 for Caroni Employees and put the rest in inox tank, Dame Jeanne and perhaps in amphora to test. It may be that 5 drums go to Neisson, just to see but why not. This can be interesting. To age Caroni in Europe, I do not say that it is better or worse, just that it is no longer caroni. 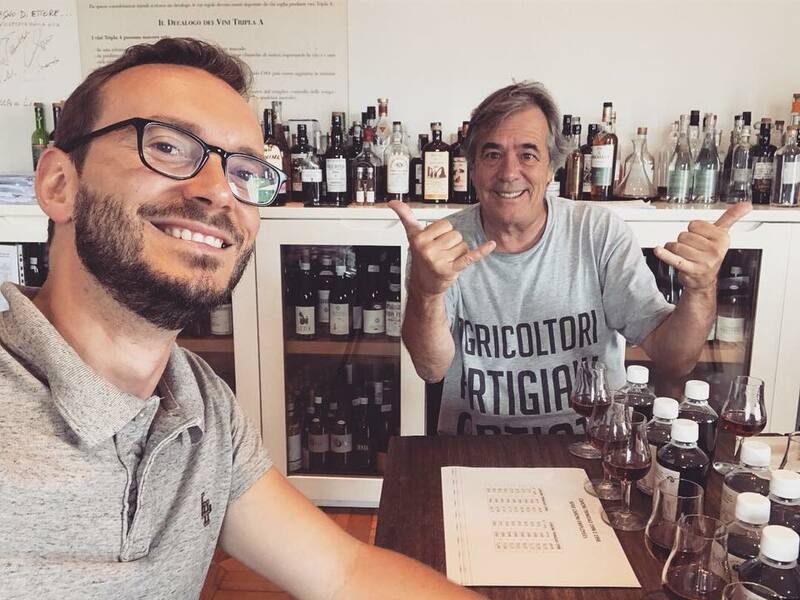 It would never come to someone’s idea of ​​aging his cognac in Italy, it’s a total nonsense! The trouble is that naming these rums for caroni or Hampden for example is not correct, it’s no longer originals for me. You can make them age in Europe and make your own vintage you understand, but then you have to call it differently. I do not know, Roger’s Rum 5 stars if you want and everyone will be happy. After obviously a Hampden or Long Pond aged in Europe will not be bad, they wont become bad suddenly. It’s just that it’s not the original anymore. For these first two releases of the series, you invited Olivier Scars to do the assembly. This is not the first time you do this, is this important for you? Yes, Olivier came to do this with me and I like this idea. So much so that I am going to have a big caroni meeting, in France normally, where I will invite enthusiasts to taste each of the barrels that will be used as a result of this series. I want these real passionates to make the blends with me, it will be a great celebration of joy with barbecue, meetings, discussions etc … You will also be invited Roger! (gloup 😍). I would also like to make a kind of caroni museum with all the empty casks that will remain, it will be a tribute to these great rums. Thank you Luca for your time and the invitation! It will be with great pleasure! Thank you Roger and see you soon.